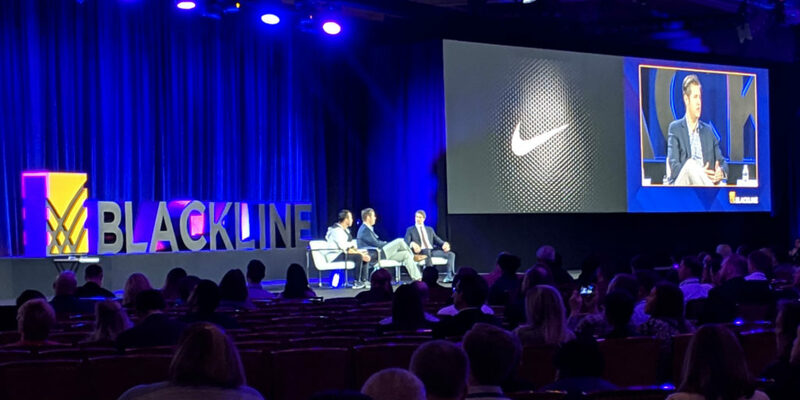 Thack Brown, COO of SAP North America brought on two guests from Nike, a customer that SAP and BlackLine share: Chris Brown, Sr. Director of Global Controlling Operations; and Chris Beltran, Global Product Manager. Over the last decade, Nike has transformed its go-to-market strategy from a wholesale model to a direct-to-consumer model. To accommodate this, the company had to overhaul their technology and product offerings, and in the process, found that they could use automation to support all of their backend operations. The discussion centered on the relationship between Finance and IT, and how Nike promotes business partnership between the two. 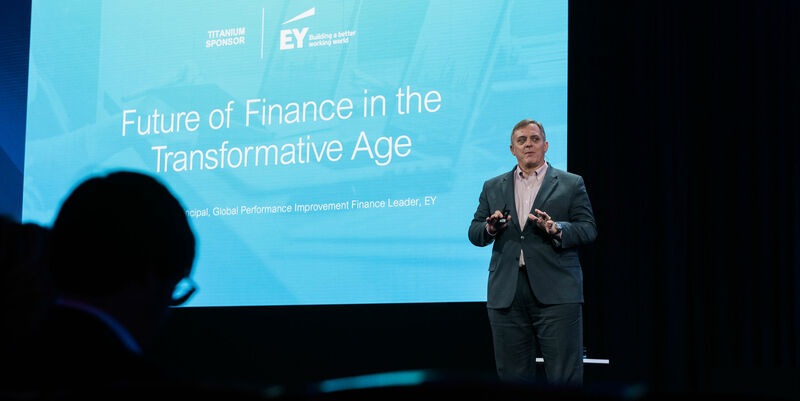 The Finance organization has needed to be more engaged with the business throughout the entire strategy shift, and automation has helped to minimize transactional work and free up resources to participate in more value-added activities. Similarly, Beltran points out that business partnership is an important function for IT. In terms of undergoing digital organizational and financial transformation, IT is vital to help business leaders identify the right technology solutions for the company. Both guests noted that in this process, it is important to promote transparency and open communication throughout an organization to keep employees engaged. Where are things going and what do we see happening? What do we, as finance professionals, need to be looking at as we move forward? 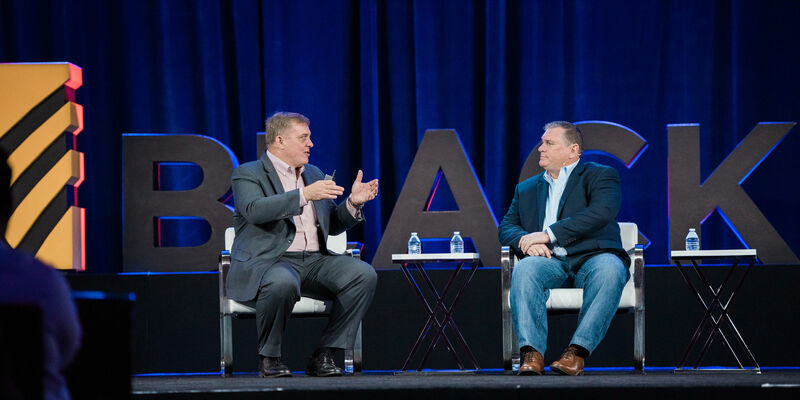 Thack Brown, COO of SAP North America, is interested in exploring these questions as we continue through the digital era. Finance hasn’t changed much over the past decades, but the changes in technology are going to bring about a radical transformation in this space. The same things causing these changes are the same things that will help businesses deal with them. But Thack is more interested in figuring out what Finance will look like in the future. There are several important principles he wants to examine. Thack believes the primary role of Finance going forward will be about supporting and executing business strategy. Finance should spend most of their time here to become the right arm of the CEO, helping to guide strategy and move the business forward. Finance will be viewed as a business value creator in the future, and should focus on bringing in technical skills to drive things like tax optimization and cash flow initiatives. As transformation moves forward, core processes are going to become dynamic and continuous. The month-end close should become just another day. It won’t be the moment of insight, because as things become more flexible and dynamic, finance teams should be getting that regularly. Thack sees Finance becoming the analytics hub of the organization. As a neutral third-party, Finance can compile data and help keep everyone honest. Critical financial processes will be highly automated. As tools like robotics and artificial intelligence continue to move into the industry, it will help shift the brain power away from transactional processes and into business support and business value capabilities. SAP wanted to be customer zero for the new processes so they could make sure everything was working before it went to market. They’ve been able to keep the cost of Finance even, but moved the back-office costs below 40%. Go into this with a plan. Get educated and be purposeful about how you transform your business. Work at two speeds. Replacing core financial systems is big work, but bringing in something like BlackLine can help move things forward in different ways. Choose your partners. Pick people who understand where the technology is going and where you want to be with your own business. As one of the largest annuity and life insurance providers in the US, Brighthouse Financial has a long-term focus. Ken Beil, Accounting Operation Leader at Brighthouse explains that this is why they moved their accounting and finance processes to the cloud. They were looking for a better way to be competitive price-wise and discovered that the cloud is less costly than the on-prem solutions they were using. Risk was a key focus. They needed robust process and planning capabilities to ensure all of their processes were compliant. So they began implementing BlackLine’s solutions. He also noted the importance of hiring talent that has a different kind of skill set to keep up with all of the new technology and move their organization forward. 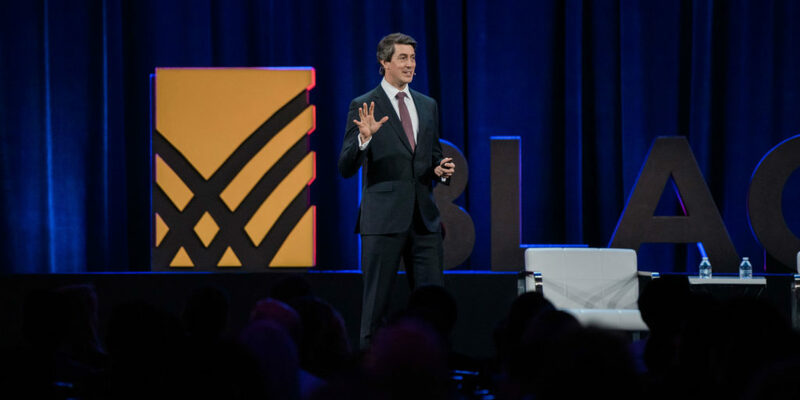 Tony Klimas of EY understands that industrial revolutions have transformed how we do business and live our lives. The most recent revolution has pushed data to the forefront because everything is gathering data. With all of that information swirling around us, data has changed, and the problem is now: what do I do with the data? Tony knows that’s what we need to think about as we move into the Transformative Age. The role of the CFO has changed too, with decreased tenures and new CFOs coming from outside of the company and Finance. With that in mind, there’s always a challenge and there’s always something that stands in the way. CFOs are always looking to hire, train, and retain the right people. 65% of the kids in school today will work in jobs that don’t exist today. Being agile means you’ve got all three of these things, and it’s one that will prosper in this digital age. If you’re worried about the risks that come with technology, that’s a good thing. But those same things that make you nervous are the things that can help you manage that risk. As you go through a transformation, focus on trust by design. Build it in and if you do it well, it will help strengthen relationships with your customers and clients. It will give you digital confidence. This requires a different mindset than accountants are used to, and it’s all about designing trust in your process. Andrew Fastow is the former CFO of Enron. Yes, that Enron. After serving a term of 6 years in prison for participating in what is considered the greatest instance of corporate fraud in history, Fastow is in high demand to speak with accounting and finance professionals about the ethics of Finance. His message is this: just because you’re following the rules doesn’t mean you’re doing the right thing. Fastow couches this message in the context of his own story—from being named CFO of the Year by CFO Magazine in 2000, to being indicted and later convicted for fraud in 2001. He notes that this stark contrast was possible because the evidence justifying both were the same, but the standards by which they were judged are different. When accountants, lawyers, auditors, and banks examine a company’s books for accuracy and compliance, they are investigating whether you’re following the rules. Enron did follow the rules. But, they used loophole after loophole to circumvent the spirit of those rules to intentionally mislead shareholders and investors. The justice system is different, and when the Enron scandal turned into a criminal investigation, the questions being asked were about ethics. Did the company’s leadership intentionally mislead through loopholes in the law? Yes, they did. 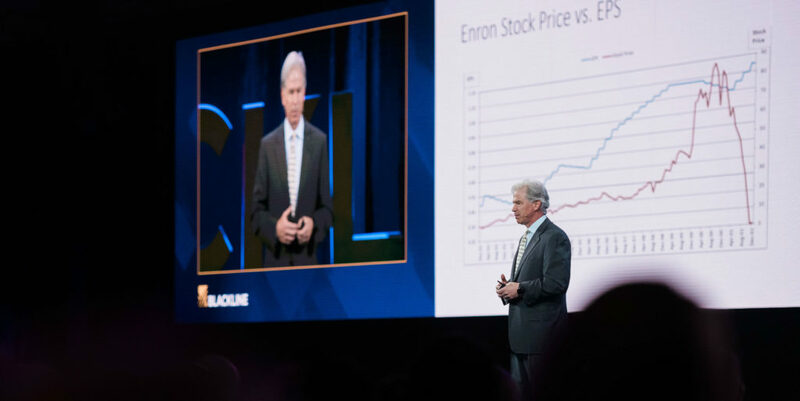 Fastow presented the audience with a case study, where an oil company used a loophole to value their reserves at a much lower price than the rest of the market. First, Fastow asked the audience to use a show of hand to say whether this was unethical. The entire auditorium was a sea of hands. Then, Fastow presented the actual rule to the audience and asked the same question. Almost no one raised their hand. This exercise shows how widespread the epidemic of conflating rules with ethics is within the finance world. As accountants, you’re taught to use the rules to the advantage of your company. But, historically, you haven’t been asked to sit back and recognize when you’re in a grey area, as Fastow calls it. A grey area is the space between the rules and the outcome where human judgment is necessary. Fastow argues that the problem is not convincing people to do the right thing—it’s getting them to recognize when they’re in a situation that requires them to use higher judgment to follow the spirit of the rules. John Zimmerman, Director of Financial Data Systems at The Hershey Company, has a combination of technology and accounting experience that lends itself to digital finance transformation and bridges gaps between departments. But he maintains that change management is the most difficult piece of the puzzle. In 2015/16, Hershey looked at the competitive landscape in their market and identified the need to quickly shift their go-to-market strategy. They had been running some of their accounting solutions for over 20 years, and noticed that they were beginning to create bottlenecks. John’s most profound advice in this segment is to not wait for change to happen. He suggests that change happens when people identify opportunities and go after them. 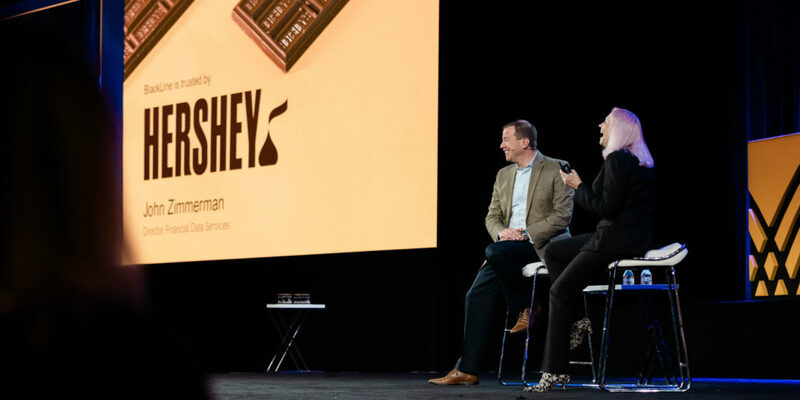 The Hershey Company has done just that by employing a truly creative use for BlackLine’s Task Management solution. They’re in the process of transforming their marketing strategy, and decided to use Task Management to build out their Marketing close process. Every business choice translates to a line item on an income statement, so Finance and Accounting are paramount. And it seems like nothing is off limits for BlackLine. Automation gives Campbell’s more time to provide insights. They can’t just tick-and-tie anymore because there are so many pieces and they have to be more efficient. And most of all, they need to be able to trust the numbers that are coming in. They trusted BlackLine to help them achieve those goals and began their financial transformation. 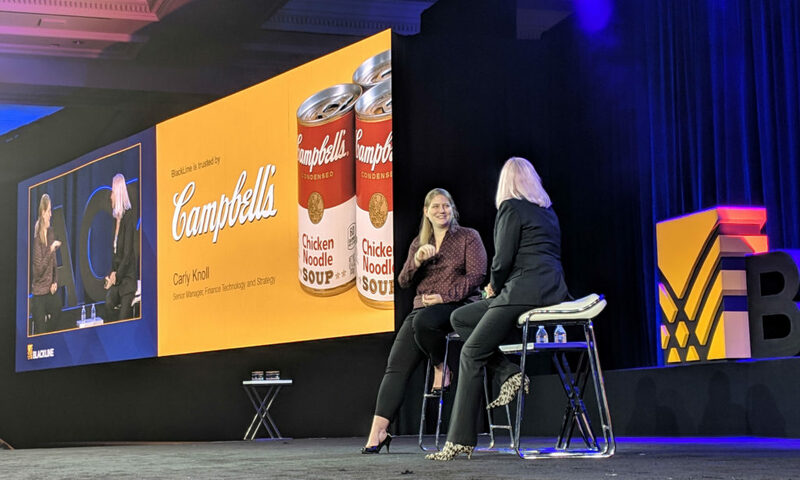 Campbell’s started small with auto-certifications, implemented Journal Entry soon after, moved on to Automated Journals, and then achieved the most automation possible with SmartClose. SmartClose was vital to Campbell’s goals as it allowed them to truly transform their year-end close. They used to spend long days with their heads down just to make sure it got done. With SmartClose, it changed from days of work to the press of a button. Campbell’s got the confirmations in that they needed, pressed the button, and then, to the shock of others in the finance organization, went to lunch. We’re happy to have helped that transformation occur. 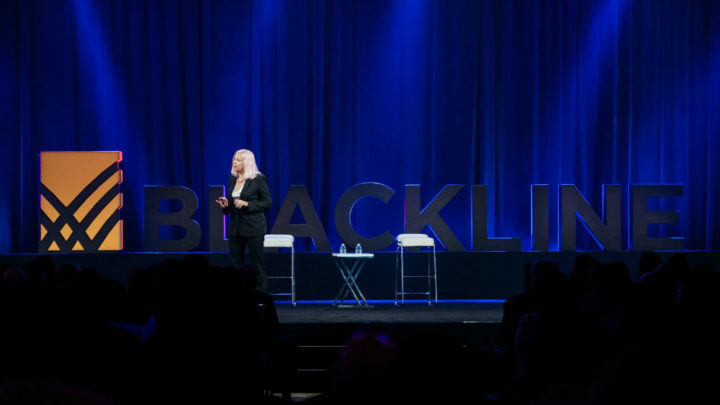 BlackLine Founder and CEO Therese Tucker cares about her customers. She built BlackLine by listening to what they needed at every step of the way, and today, a lot of work gets done in BlackLine. 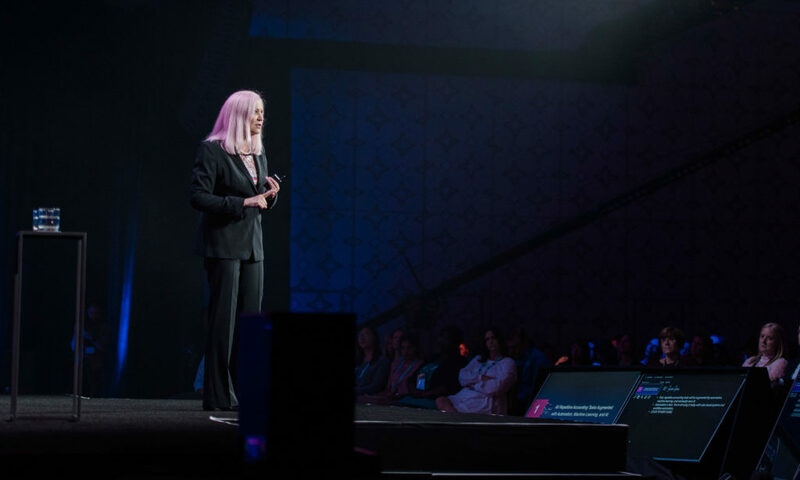 BlackLine Founder and CEO Therese Tucker defines trust as a firm belief in the reliability, truth, ability, or strength of someone or something. BlackLine’s mission is to transform Accounting and Finance and build trust in organizations worldwide. BlackLine’s vision is to equip Accounting to deliver deeper insight and strategic value, turning uncertainty and doubt into confidence and trust in the global economy. Systematizing these values is part of what BlackLine does. CFOs are facing the most difficult environment of their careers. They’re responsible for managing risk and driving strategy, but because of transactional workloads, they’re being pulled in two different directions. 53% of CFOs doubt they can retain the talent to fulfill on promises, and 40% have anxiety about mistakes and data security risks. 59% worry about tripping up in the midst of a changing regulatory landscape, and 53% are concerned that Finance is too reactive. You can’t be a trusted partner if you’re just putting out fires. Change is coming, and it’s no longer optional. CFOs are a bit disconnected from what accounting and finance teams do throughout the day. Controllers are struggling to meet CFO demands, because of the heavy transactional workload. 70% of CFOs say they trust the numbers, but only 38% of accountants agree. 56% of accountants say they need more automation just to keep up with growth. Join us again tomorrow as we bring you the highlights from the second day of InTheBlack. You can also register for the live stream here, if you haven’t already. Next story Live From InTheBlack 2018: Designing Software. Building Trust.